HOWLAND — Robert L. Hambach Jr., 84, was called home to be with the Lord on Saturday, April 13, 2019, with his family by his side. He was born Oct. 13, 1934, in Canton, the son of the late Robert L. Hambach Sr. and Leona Schweizer Hambach. Bob grew up in Canton, attending Timken Vocational H.S., where, in his own words, the good Lord guided his hand in choosing precision machining as a career. As a veteran of the United States Army, he used his love of fixing things to work on jeeps while stationed in Germany. Upon receiving a teaching degree from Kent State University, where he belonged to the Iota Lambda Sigma fraternity, Bob began a rewarding 24-year career as a teacher of Precision Machining with Warren City Schools. He was a longtime member of the Knights of Columbus Council 4484 in Warren where he held several offices. He was an active member of Christ Our King Church; was a cantor, Eucharistic minister and choir member and also taught CCD for 18 years. Bob had a love of camping with family and friends, gardening, golfing, woodworking, furniture making and especially singing. He was a member of the Steven Foster Chorus, Warren Chapter of B.H.S, and was known to always be singing or whistling a cheery tune. Bob’s kindness and generosity was realized by everyone he met and is evidenced by his 26 years of delivering Mobile Meals to shut-ins throughout Warren. He loved to travel the country, visiting all 50 states and spending winters in Florida, but also simply spending time visiting with family and friends. Bob’s passion and zeal for life allowed him to be blessed with three adoring families, and he leaves behind countless lives he touched by his grace. In addition to his parents, he was preceded in death by his wife, Jacqueline Leahy Hambach of Massillon; his wife, Janice Iammarino Hambach of Warren; a son, Thomas W. Hambach; and a stepson, Donald Iammarino. Bob is survived by his wife, Patricia Fenstermaker Hambach; his sisters, Helen (Robert) Jones and Carol (late Charles) Freday, both of Canton; six children, Robert L. (Cathleen) Hambach III, Theresa (Ronald) Rhine, Katherine (Frank) Cepero, James (Patricia) Hambach, Christine Weatherman and David (Angie) Hambach. He is also survived by his stepchildren, Ronald (Connie) Fenstermaker, Douglas (Sheri) Fenstermaker, Randal (Debbie) Fenstermaker, Brad (Roberta) Fenstermaker, Pamela Biasco, Paula (Tom) Cole and Mark (Michelle) Iammarino. Bob is also survived by 11 grandchildren, six great-grandchildren and 21 stepgrandchildren. Visitation, followed by a funeral mass, will be held at 1 p.m. Wednesday, April 17, 2019, at Saint John Paul II Parish, 420 North St. NW, Warren, Ohio. Arrangements are entrusted to McFarland-Barbee Family Funeral Home, 271 N. Park Ave., Warren, Ohio 44481, 330-393-9621. 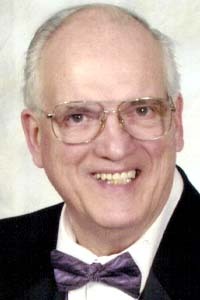 Please visit www.McFarlandBarbeeCares.com to view this obituary or send condolences.